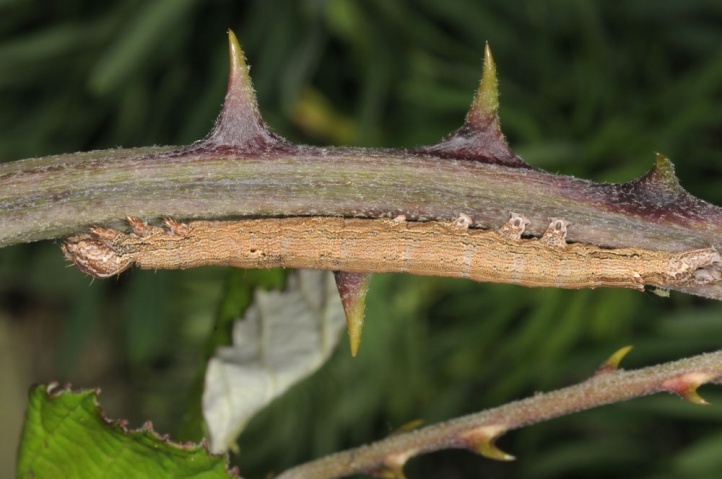 The caterpillar lives on Rubus species (mainly Rubus fruticosus and its numerous small species). 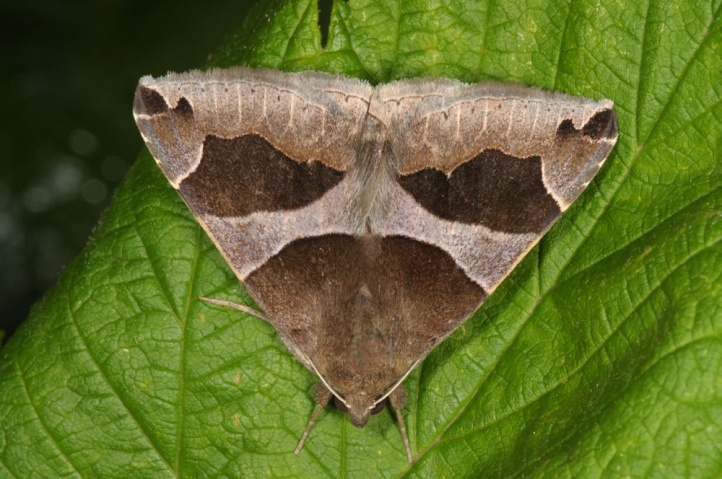 Dysgonia algira colonizes brambles at warm places. 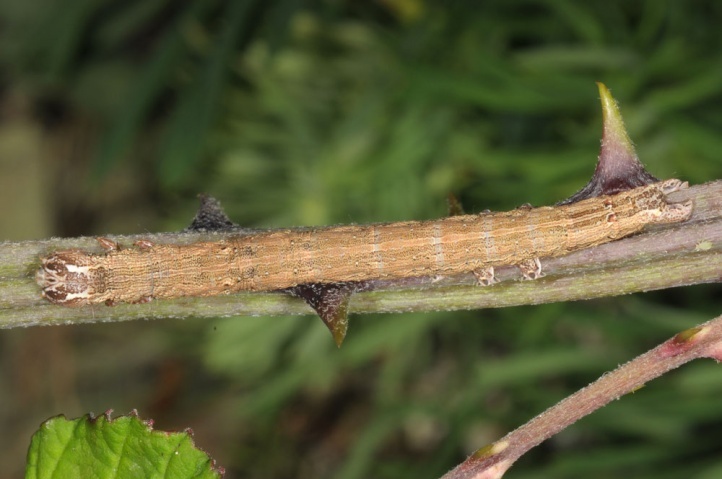 I found many larvae in Vinschgau (South Tyrol) on a steppe slope with sporadic Rubus thickets for example at wayside. The pupa hibernates. 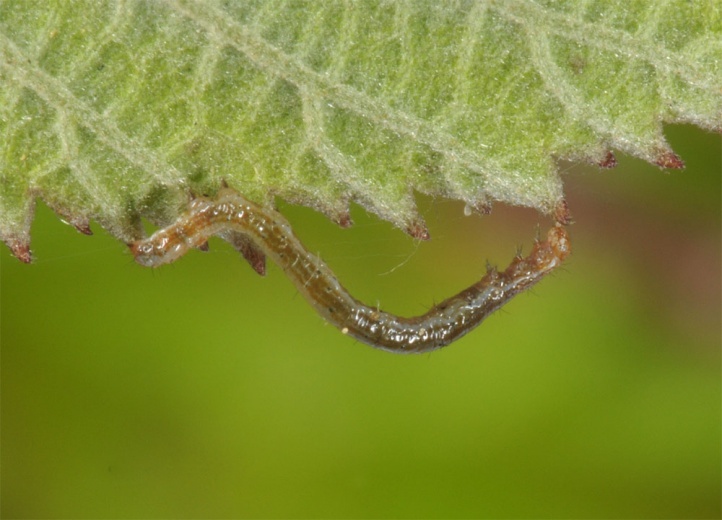 I observed a fresh male in Vinschgau in late May 2011. 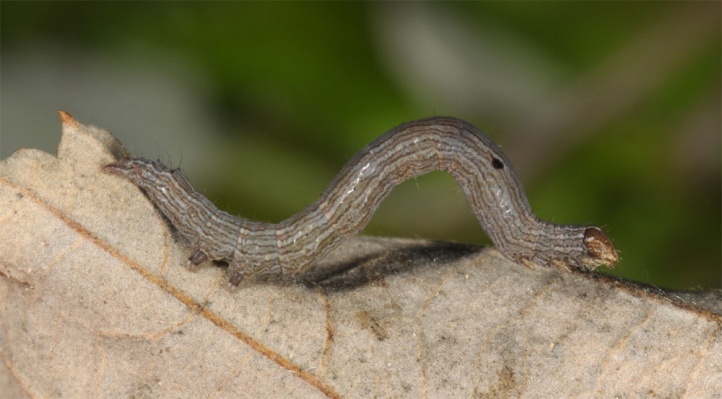 Overall, the moths fly from late April or May until August or September. 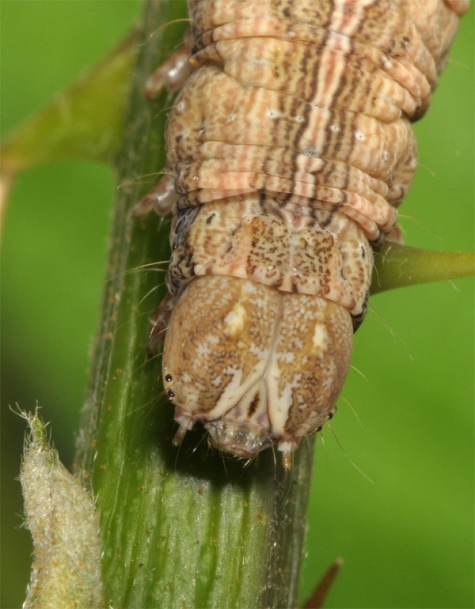 Those resulting from overwintered pupae can be found here mostly between mid-May and early July. 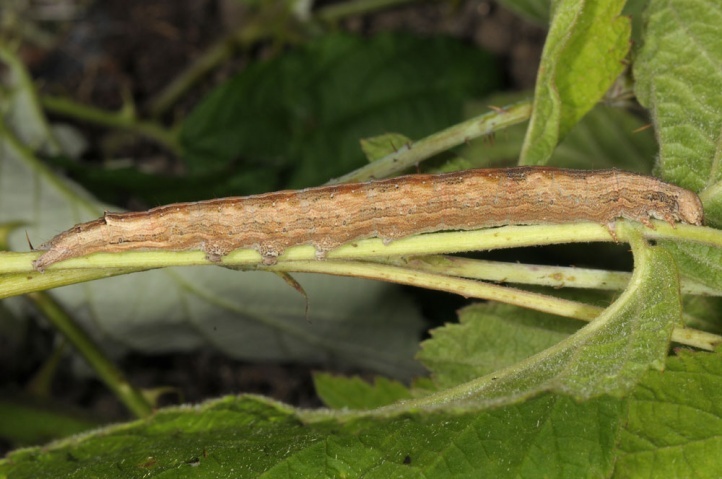 In the north (Vinschgau, Upper Rhine) usually only a partial second generation is observed between late July and September. 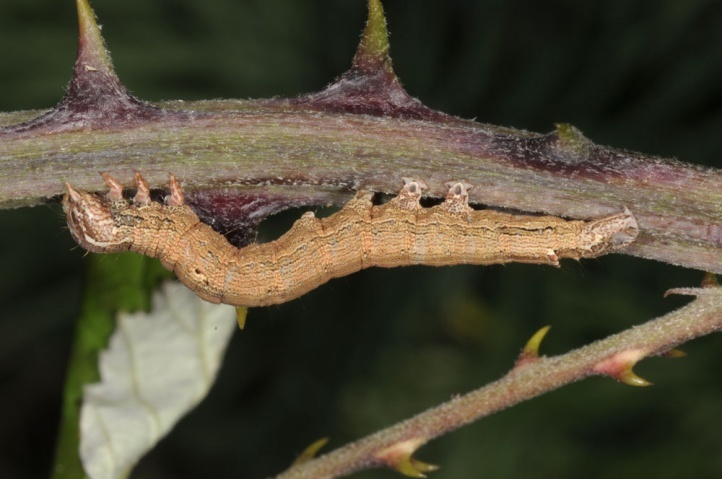 Further south (Mediterranean) this second generation is more numerous. 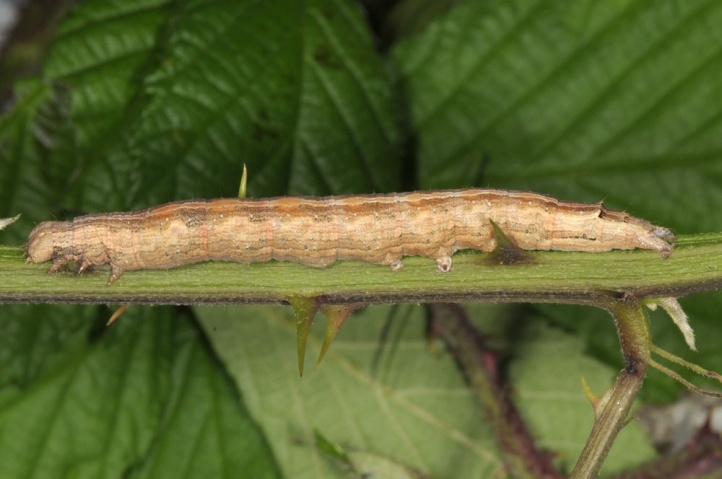 The caterpillars occur from late May or June to October (with peak between mid-June and late July). 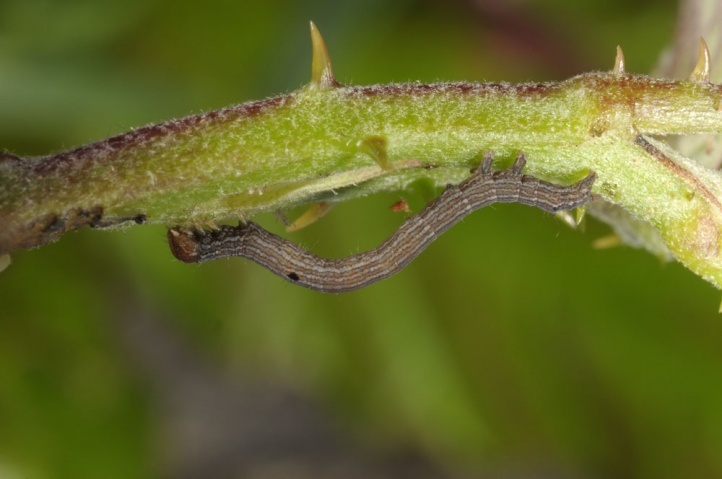 The young caterpillars live closely nestled to younger shoots and can be tapped (many observations in late June 2011 in Vinschgau). 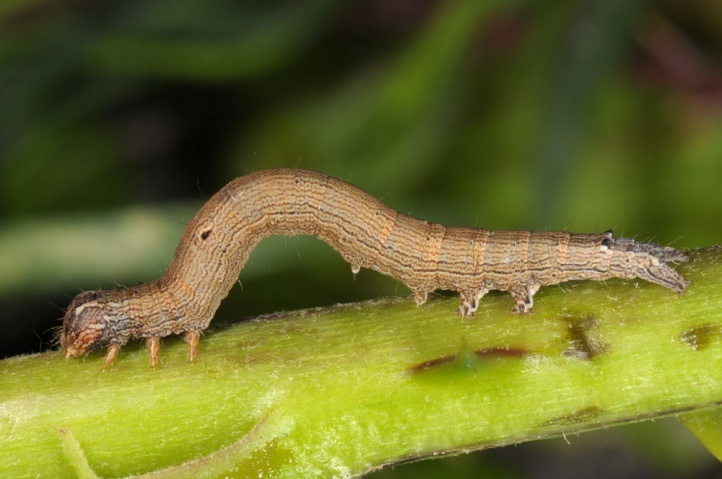 The older caterpillars are purely nocturnal and hide during the day often at the base of the shoots or in the surrounding ground vegetation. 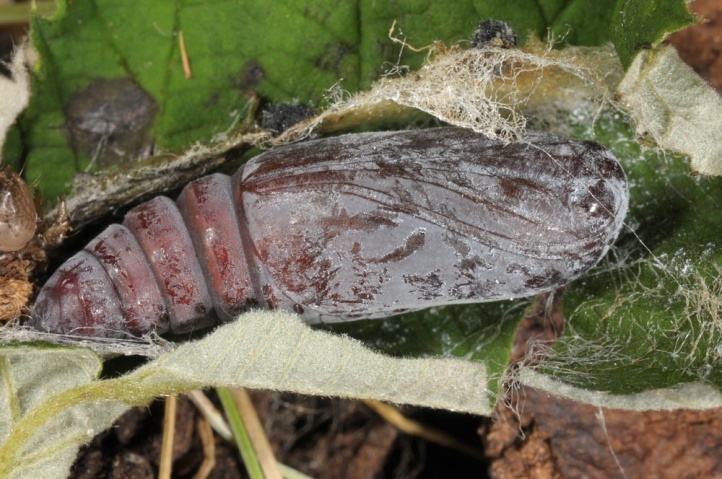 The pruinose pupa rests in a cocoon at the ground (probably mostly in the litter layer between old leaves). 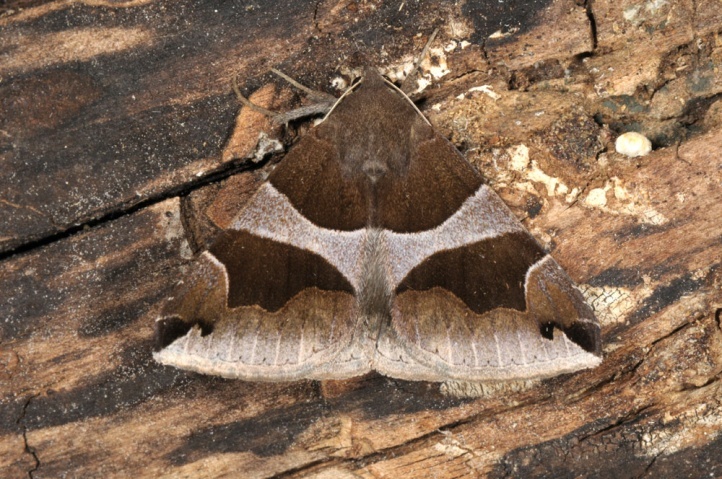 Dysgonia algira is hardly endangered. 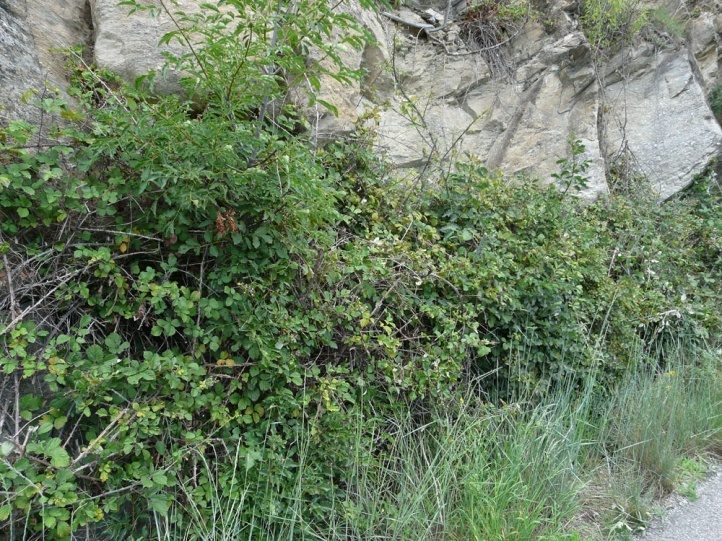 Brambles are quite common as result of eutrophication, so that a part of the habitat loss (due to human activities or succession) is compensated. 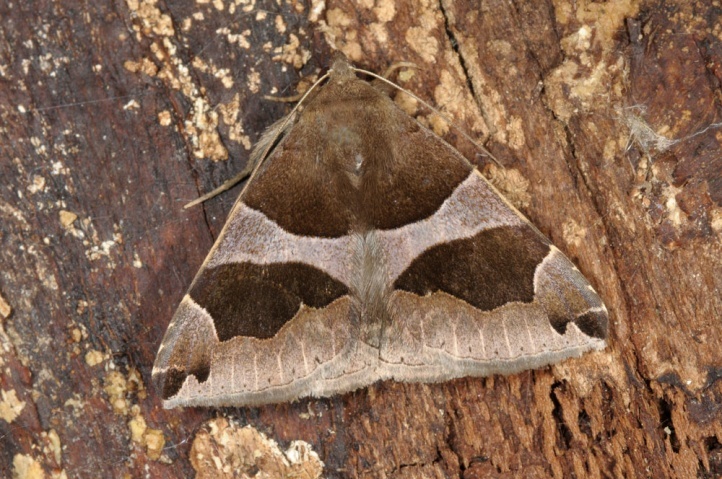 Dysgonia algira also benefits from global warming. 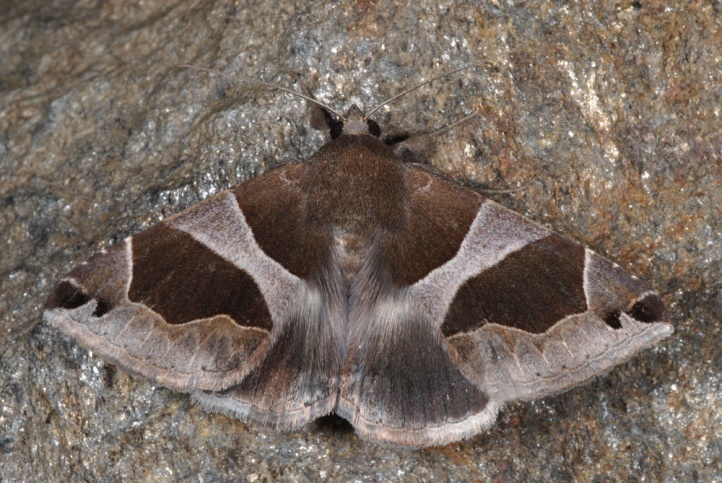 Dysgonia algira occurs from Northwest Africa across Southern Europe to Western Asia. 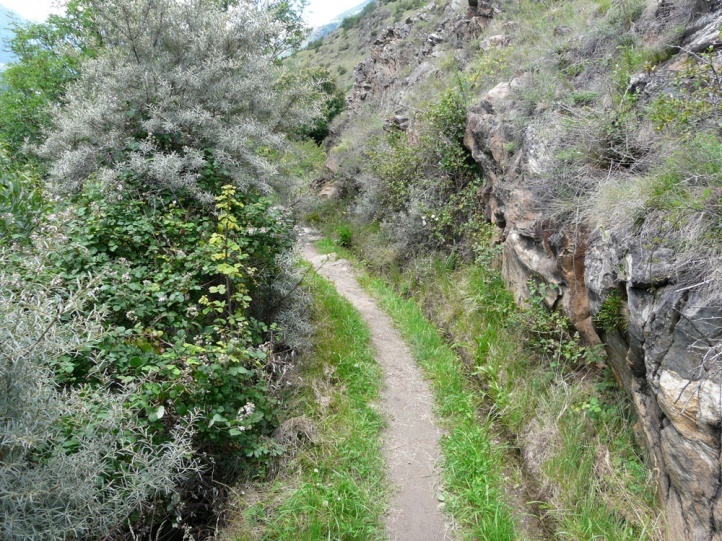 In the north it reaches southwest Germany (Upper Rhine), the southern Alpine valleys (Valais, Vinschgau, etc.) and eastern Austria. At the moment a further expansion is observed for example in SW- and W-Germany in the Rhine Valley and adjacent regions.